Giving a gift to your pet for Christmas is the norm now days as they are part of the family after all. 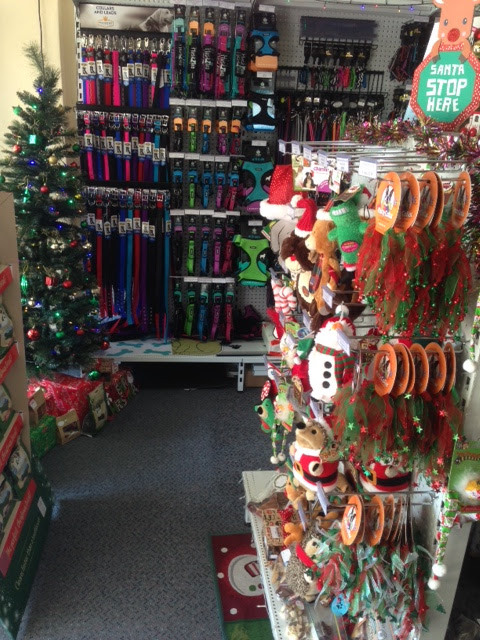 We have a great range of Christmas toys for dogs and cats. As well as Christmas dog treat bags of all sizes. We also have Pets of Sandgate gift cards available for purchase in store to give to a friend or family member that loves their fury friend. If you have driven down Brighton Road at Sandgate you will have noticed the main strip is a light with Christmas spirit. 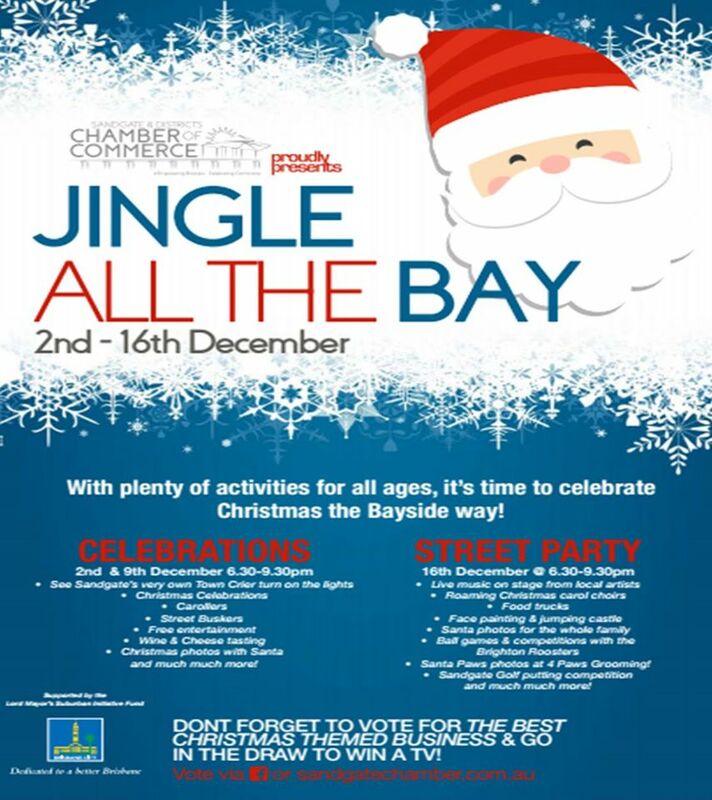 The Sandgate Chamber of Commerce and local business have come together to give the town a Christmas feeling. This also includes late night shopping until 8.00pm on Friday the 9th of December and Friday the 16th of December. On Friday the 16th of December a part of Brighton Rd will be closed off for a Christmas street party. There will be stalls, food and entertainment. Also 4 Paws Dog Grooming (Sandgate's new dog groomer next to Westpac bank) are offering Santa photos for you and your pet! For more information see Sandgate Guide Christmas Street Party. Christmas in Sandgate Facebook page.